Even though it's very sunny and warm all day, the night temperatures have dipped about 10 degrees in the past week! Yay! No leaves falling yet, either. To celebrate that it may just be getting cooler, I used fall colors on my card. I received a swap that used a black mat and gray and black stamping for the background. I don't know whose card it is, though, sorry! I changed the color scheme and the sentiment/banner shape. I hope you enjoyed looking! Please leave me a comment so I know you were here. Don't forget that I you earned Codes for your August purchases and have the emails with your codes, you must redeem the coupons by September 30th! 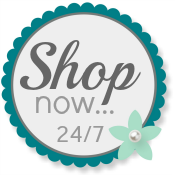 Use my Online Store any time you wish to purchase Stampin' Up! products! So nice to see Timeless Textures in a design again. I love that set, but hadn't thought of using it alone for a card design. I love the mix of textures in fall colors. What fun. Thanks for reminding me of that great set. Love your details. I have kept this open on my iPad so I wouldn’t forget to try it hoping I come up with fall colors that work. That's great, Phyllis! I hope you have fun making your fall card!